Range: The Caribbean Monk Seal was found in warm temperate, subtropical and tropical waters of the Caribbean Sea, Gulf of Mexico, and the west Atlantic Ocean (Adam 2004; Lowry 2015). It had been recorded from numerous islands, reefs and cays, including the Bahamas and Greater and Lesser Antilles, as well as the Yucatan Peninsula and southeast along the Central and South American coasts as far east as Guyana (Adam 2004; Lowry 2015). The northernmost extralimital record is from Cumberland Island (Georgia, United States) and there are no confirmed sighting from the northwestern Gulf of Mexico. (Allen 2004). Prior to exploitation the species is thought to have occurred in 13-14 colonies spread throughout the Caribbean region (McClenachan & Cooper 2007; Timm et al. 1997). Description: The Caribbean monk seal has a well-developed blubber layer, a smooth body contour, flipper-like limbs and a short tail (NMFS 2008). Adult pelage is variably dark dorsally (brown to black) and graded into a lighter yellowish-white countershade ventrally (NMFS 2008). Ventral fur ranges from pale yellow to yellowish-gray or yellowish brown and is sometimes mottled with darker patches (NMFS 2008). Caribbean monk seal females are alike in colour and form than males, but slightly smaller and could not be used to distinguish between the sexes (Allen 1887a). Females have 2 pairs of functional mammae (Ward 1887). Adults of both sexes generally range between 2.0-2.5 m in length (Allen 1887a; Allen 1887c, Ward 1887). The head is large and prominent with large light reddish brown eyes and without external ears (Ward 1887; NMFS 2008). The front and sides of the muzzle and the edge of the full and fleshy lips are yellowish-white (NMFS 2008). Pups are born black in colour and remain that way for about one year (Allen 1887b). Extinction: The first known encounter between Caribbean Monk Seals and Europeans occurred in late August 1494, when Christopher Columbus on his second voyage anchored for 3 days at Alto Velo (a small island south of the Dominican Republic) and killed at least 8 seals (Adam and Garcia 2003; Kerr 1824). At the end of August, he anchored at an island called Alto Velo, and having lost sight of the other two ships, he caused some men to go on shore in that little island which was very high, but they were unable to see either of their consorts. When about to return on board, they killed eight sea wolves [= Caribbean Monk Seals] that lay asleep on the sand, and took abundance of pigeons and other birds; for that island being uninhabited, these animals were unaccustomed to the sight of men, and allowed themselves to be knocked down with sticks. Since their discovery the Caribbean Monk Seals were killed for their skins and oil (Lowry 2015). This human pressure brought the populations to very low numbers, ultimately resulting in extinction of the species (Adam 2004; Lowry 2015). The last Caribbean Monk Seal colony at the coast of Veracruz (Mexico) was observed in 1524. The colony at Guyana was last seen in 1613, at Klein Curaçao (Curaçao, Kingdom of the Netherlands) in 1643 and the colony at Guadeloupe (France) in 1667 (McClenachan & Cooper 2007). In the late 1600s hundreds of seals were killed primarily to be used for oil to lubricate machinery on sugar plantations. 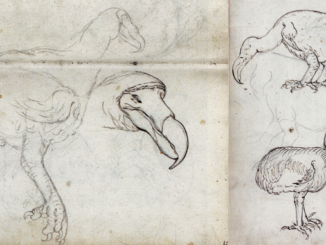 Additional animals were taken for public display and killed for museum specimens and other reasons (Lowry 2015). In more recent years, the Caribbean Monk Seal was also subject to persecution from the fishing industry (Lowry 2015). H. Sloan wrote in 1707: “The Bahama Islands are filled with seals; sometimes fishers will catch one hundred in a night” (Van den Hoek Ostende, 1999). The colonies at Seal Cay (Ragged Island District, Bahamas) and the south of Cuba were last observed in 1850 and 1877 (McClenachan & Cooper 2007). The end of the 19th century witnessed relentless slaughters and the species had already become rare in the 1880’s, before it was properly known to science (Van den Hoek Ostende, 1999). The Caribbean Monk Seals at Dry Tortugas (Florida, United States of America) persisted until 1922 (McClenachan & Cooper 2007). The Triangle Keys (Arrecifes Triángulos, Mexico) have remained a stronghold of the species until 1915, when about 200 animals were butchered there (Van den Hoek Ostende, 1999). In 1950 the last seals of the former colonies at Arrecifes Triángulos, Arrecife Alacrán (Mexico) and Pedro Bank (Jamaica) were seen (McClenachan & Cooper 2007). C.B. Lewis observed the last authoritative sighting of Caribbean monks at a small seal colony off Seranilla Banks (Colombia) in 1952, located between Jamaica and Honduras (Van den Hoek Ostende, 1999). An aerial survey in 1973, conducted by the U.S. Fish and Wildlife Service, found extensive fishing activity throughout the former range of this seal (Kenyon 1977; Lowry 2015). A later cruise through the Gulf of Mexico and around the Yucatan Peninsula failed to find any Caribbean monk seals in the area (Le Boeuf et al. 1986; Lowry 2015). Surveys have been carried out as late as 1993, all without success (Lowry 2015). The Caribbean monk seal was formally declared extinct in the 1996 IUCN Red List of Threatened Animals. Specimens: The National Museum of Natural History, part of the Smithsonian Institution, houses the only large museum collection that consists of 44 specimens, mostly represented by skins and/or skulls, most of which were collected by E.W. Nelson and E.A. Goldman in June 1900 (Scheel et al. 2014). H.L. Ward killed and collected 49 specimens between 1 and 4 December 1886 at the Triangle Keys (Mexico) of which at least three are now in the collections of the Natural History Museum (London, United Kingdom), the University Museum of Zoology (Cambridge, United Kingdom), Naturalis Biodiversity Center (Leiden, Netherlands). 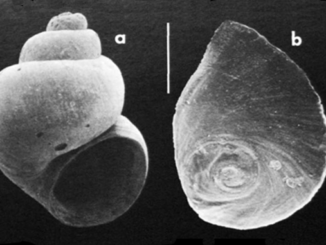 Live specimens obtained by the New York Aquarium (United States of America) in 1897 and 1909 also were captured from the Triangle Keys (Epting 2010; Townsend 1909; NMFS 2008). In total 7 monk seals were known to have been kept by in New York, surviving for just one day or to at least 53 months (Epting 2010). 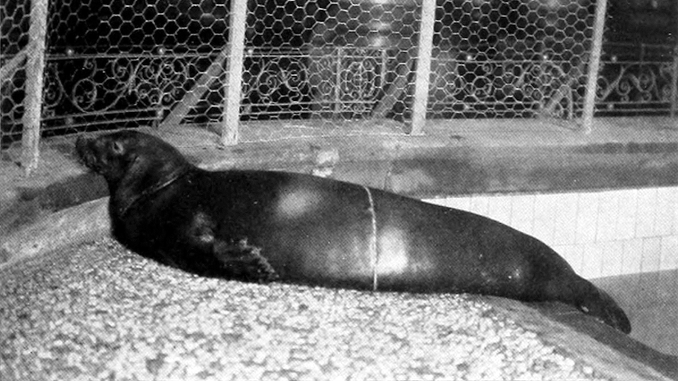 About 10 other monk seal caught in 1897 were kept in the United States: 5 or 6 in Tennessee Centennial Exposition (Nashville), 1 or 2 in Philadelphia Zoological Garden and 4 in the National Zoological Park (Washington, D.C.) (Epting 2010). Outside the United States, a captive specimen, a male caught around 1843, was kept by Richard Hill in Jamaica; it died after 4 months (Epting 2010). Another specimen was kept in Campeche (Mexico, date unknown, but before 1887), but survived for just one week (Epting 2010). A possible third specimen was captured in 1892 and kept in Mexico City, but nothing more is known (Epting 2010). References: Adam, P.J. (2004). 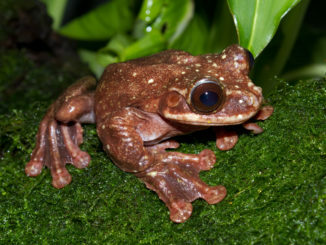 Monachus tropicalis. Mammalian Species 747: 1-9. Allen J. A. (1887a). The West Indian seal (Monachus tropicalis Gray). Bulletin of the American Museum of Natural History 2:1–34. Allen J. A. (1887b). The West Indian seal. Science 9:35. Allen J. A. (1887c). The West Indian seal. Science 9:59. Debrot, A., Esteban, N., Le Scao, R., Caballero, A., & Hoetjes, P. (2005). New sea turtle nesting records for the Netherlands Antilles provide impetus to conservation action. Caribbean Journal of Science, 41(2), 334–339. Epting, C. (2010). Remembering a Species: A History of the Caribbean Monk Seal in Captivity. Lulu Press. ISBN 978-0-557-92778-4. Kenyon, K.W. (1977). Caribbean monk seal extinct. Journal of Mammalogy 58: 97-98. Kerr, R. 1824. A General history and collection of voyages and travels, arranged in systematic order: forming a complete history of the origin and progress of navigation, discovery, and commerce, by sea and land, from the earliest ages to the present time. William Blackwood, Edinburgh, Scotland 3:1–503. Le Boeuf, B.J., Kenyon, K.W. and Villa-Ramirez, B. (1986). The Caribbean monk seal is extinct. Marine Mammal Science 2: 70-72. Lowry, L. 2015. Neomonachus tropicalis. The IUCN Red List of Threatened Species 2015: e.T13655A45228171. http://dx.doi.org/10.2305/IUCN.UK.2015-2.RLTS.T13655A45228171.en. Downloaded on 26 December 2017. Scheel D.M., Slater G.J., Kolokotronis S-O., Potter C.W., Rotstein D.S., Tsangaras K., Greenwood, A.D. and Helgen, K.M. (2014). Biogeography and taxonomy of extinct and endangered monk seals illuminated by ancient DNA and skull morphology. ZooKeys 409: 1-33. Timm R. M., R. M. Salazar, T. Peterson. (1997). Historical distribution of the extinct tropical seal, Monachus tropicalis (Carnivora: Phocidae). Conservation Biology 11:549–551. Townsend, C. H. (1909). The West Indian Seal at the aquarium. Science (New York) 30:212. Van Buurt, G. (2010). A Short Natural History of Curaçao. In: Crossing Shifting Boundaries, Language and Changing Political status in Aruba, Bonaire and Curaçao. Proceedings of the ECICC-conference, Dominica 2009, Volume I, pp. 229-256. Faraclas, N., Severing, R., Weijer, C. Echteld, E. (Eds. ), FPI and UNA, Curaçao. Van den Hoek Ostende, L.W. (1999). Caribbean monk seal – An easy catch. 300 Pearls – Museum highlights of natural diversity. Downloaded from http://www.naturalis.nl/300pearls on 24 April 2006. Ward H. L. (1887). Notes on the life-history of Monachus tropicalis, the West Indian seal. American Naturalist. 21:257–264. Citation: Maas, P.H.J. (2017). Neomonachus tropicalis (Caribbean Monk Seal). In: TSEW (2017). The Sixth Extinction. http://petermaas.nl/extinct. Feedback: If you see any errors, have questions or suggestions, please contact us so that we can correct or extend the information provided.